Since 1958 South Orange County Plumbing Heating & Air Conditioning has been providing homes, businesses and government offices in Costa Mesa with the highest quality plumbing and HVAC services. 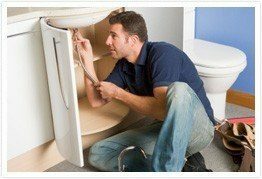 An emergency plumbing repair, a complete heating or cooling system installation or drain cleaning are now available at one-stop contractor in Costa Mesa. Confidence that your plumbing, heating and air conditioning issues are dealt with and backed up with a 100% satisfaction guarantee. Value and savings by utilizing the latest technology, advanced staff training, and top notch quality products with full warranties. At South Orange County Plumbing Heating & Air Conditioning we stand by our customers with fast, well-organized and affordable service. No matter if it is a small house, huge apartment complex or business facility, all you need to do is make one phone call to Orange County Plumbing Heating & Air Conditioning in Costa Mesa. We are at your disposal around the clock every day, whether it is a plumbing, heating or air conditioning problem, drain cleaning or water purification. Our unmatched customer service is the foundation of our work; contact our skilled technicians today to assist you with any of your plumbing or HVAC needs. Experience the difference with Orange County Plumbing Heating & Air Conditioning in Costa Mesa! Receive $20 off any service in the city of Costa Mesa!